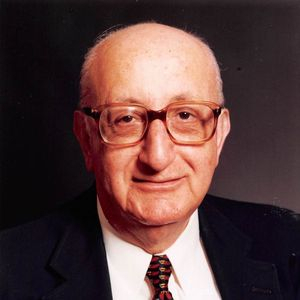 Dr. Sarkis Y. Karayan was born to Genocide survivors, Yacoub and Zarouhi Oustakarayans on November 28, 1928, in Aleppo. Upon his graduation from the AmericanUniversity of BeirutMedicalSchool as a Pediatrician, he was appointed Chief of AUB's "Maternal and ChildHealthCenter" and later was invited to serve as University Health Physician at AUB, in addition to his private practice as a pediatrician. The Karayan family moved to USA in 1976, where Sarkis was the recipient of a Fellowship in Developmental Disabilities, at New YorkMedicalCollege. Consequently he joined the University of Massachusetts Medical School as clinical faculty in pediatrics and developmental disabilities. In 1979 the family moved to California, where Sarkis was appointed Chief of Service at CamarilloStateHospital's Developmental Disabilities Center. Sarkis retired in 2007 after more than half a century of dedicated service both in Lebanon and United States. He received several awards and special commendations from State, local and several civic and non-profit organizations, for his capable leadership and valuable contributions in improving the health and welfare of the community. As a tireless researcher, both as a medical doctor and a curious human being, Sarkis dedicated his life to continue his research and publish articles, especially after retirement. In addition to his articles in medical journals, he wrote numerous articles, on a wide range of critical medical, social, and national issues, which were published both in Armenian and English-language newspapers and periodicals. His book reviews, in general, and those dealing with Turkofile authors, in particular, have captured the attention of the general public and scholars, including some of the authors of the critiqued books. Sarkis was married for 50 years to Silva Babayan. His close family included his daughter, Zella, son-in-law, Khatchik Karakozian, and two granddaughters, Tamar and Patil. He died in 2017.